Unless you have plenty of time on your hands to learn the HTML language and have a background in graphic design and marketing, I wouldn’t recommend that you build your own business page. If you’re creating a personal home page with pictures of the family vacation or links to some of your favorite sites, then go for it! Should you decide to create your own website, you will need to acquire and learn how to use the necessary web authoring and utility software. Most professionals use Adobe Dreamweaver for their web development. Do a Google search for web authoring software to find numerous less expensive and even free HTML authoring tools available on the web. You will also need to create a website that is viewable on different platforms… smart phones, tablets, and desktop computers. The best way to do this is to use software such as WordPress that creates “responsive” websites. If you choose to create a WordPress Blog (and I recommend that), you will not need to learn all the technical things about website coding, but simply point and click your way to a website. Using the hosting service at GVO and other hosting providers, you can easily install your WordPress blog in your hosting space and begin adding content in a matter of minutes. If you’re building a personal home page and are using one of the free hosting services online, oftentimes they also provide you with easy to use template driven software for creating a web page. However, if you are wanting a more professional look to your web page, you will probably need to learn one of the commercial software solutions. Professional web design services such as Data Synthesis can create your site, and you needn’t worry about what software is used. Data Synthesis uses the latest in web authoring software to take advantage of the latest HTML coding techniques. We also have a wide range of graphics software to create dynamic and fast loading images for your page. It may sound obvious, but clearly stating your purpose on your web page is important. There have been quite a few web sites that I have left without ever fully understanding their mission. Don’t assume that your first time visitor will know your purpose. You need to offer lots of FREE information about your area of expertise. Far too many web sites are merely sales letters and nothing more. The best sites offer genuine, quality assistance. Links to other helpful sites do NOT count. The information must come from YOU. Build a website that is a resource that provides useful information about topics relevant to your business. Give them what they want, anticipate what they need but don’t yet have, and keep them coming back by offering new and varied resources. Businesses who willingly share valuable information with their visitors are more likely to keep people at their site longer and earn repeat visitors. Moreover, if you are trying to sell something, this will earn your potential customer’s respect and confidence. It is an ancient truism that time is money. It should be one of your goals to keep visitors on your website for a longer period of time. One way to do that is to attract their attention. You must give the visitor a reason to stay and one of the best reasons is that you are providing them information they want to read. Giving the viewer a reason to “bookmark” your site is even more important if you want them to return. If their experience at your web site is sufficiently compelling and they choose to invest their time and attention, they may end up spending some real money in buying something from your site. Include content and free stuff on your web site that promote the products you’re selling. If they don’t read your ads, they may read your offerings. Create a free ebook on a specific topic at your web site. People will visit your web site to read the free ebooks and may see your product ad. 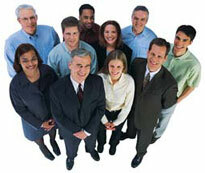 Offer a free online directory. The directory could be full of interesting ebooks, e-zines, web sites etc. If people find your directory to be a valuable resource they will visit it over and over. 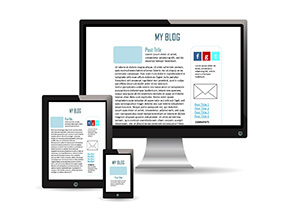 Publish your e-zine only on your web site. Have people subscribe to a “new issue” e-mail reminder. This could really increase your traffic and sales. Allow people to download software or e-books from your web site at no cost. Just ask your visitors in return if they’ll refer their friends to your web site. Create multiple streams of income with your web site. You could sell your own products, join affiliate programs, sell advertising space, etc. 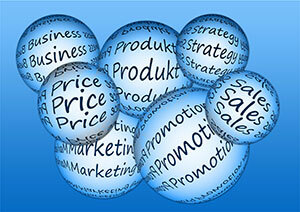 Sell only a few products on your web site instead of selling a large amount of products. To many choices can overwhelm your visitors and they won’t buy. Remind your visitors that you’re human, not just a web site. You could publish information on your family life, a picture of yourself , a profile, etc. Provide a “Contact Page” on your web site. Give your visitors as many options to contact you as possible. This will add credibility to your business. Hold free online classes or seminars. They could be held in your web site’s chat room. The idea of “live” information will definitely entice people to visit your web site. You will become known as an expert on the topic. Offer free online services or utilities from your web site. They could be search engine submitting, copy writing proofreading etc. The service or utility should be helpful to your target audience. People DO NOT go online to shop — they go online to learn. They will buy if what they learn interests or benefits them in some way. But first, they want to learn. 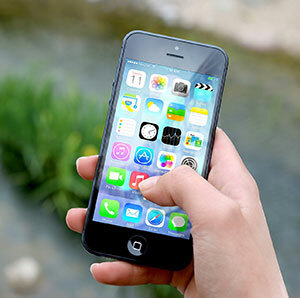 News, entertainment and information Web sites are the primary draws for online users, according to Media Metrix, an Internet market research firm’s study. Roughly 90% of web users go online primarily to read news, according to research firm MarketFacts. Corporate and marketing sites are second and third most popular. So, what does that mean to the small business wanting an online sales brochure? Since most web users go online primarily to read news, you might consider adding an area to your web site that reports what is news worthy in your industry. Have you been to a trade show recently? What new products or services were introduced? What are the trends happening in your industry? Many of those who come to your web site are researching a product. If you can provide them with useful information beyond the typical sales pitch, you will have taken a giant leap toward gaining a new customer. The beauty of cyberspace is that you can educate and solve your prospect’s problems *before* you try to sell something. This will earn their respect and keep them at your site. All the while you will be establishing yourself as an expert in the field — someone people will be happy to buy from! Organization: Make it easy for visitors to navigate your site. When potential customers are browsing your site, they need simple navigation and a fast way to ask questions. How often have you gone to a web page where you could not find out where the company was located at, or even an Email address to communicate with them? You need to provide on every page a single click to your home page AND to your email address. These two components are a key part of any effective web site. It’s important as well to have a well organized site. A common complaint from web browsers is trouble finding new information on a site and trouble finding pages they already know exist. Keep the user oriented by providing navigational buttons or links on every page. If you use image maps and other graphical navigation tools, be sure to provide a text only alternative. Not everyone browses the web with a graphical rich browser or they may have graphics turned off for increased speed. Speaking of speed … Make it fast! Let’s face it, most web surfers are pretty impatient. You must capture their attention with your page fast or you’ll lose them. If your site takes too long to load, it won’t matter what else you do to your site because any prospective visitors will have left already. Some home pages literally take minutes to load! Most people simply will not wait this long. 62% of web users in a study by the Georgia Institute of Technology complained that Web sites are too slow. According to Forrester Research, 58% of customers surveyed indicate fast performance as a key factor determining whether they would return to a web site. If your site is overloaded with large or animated graphics, Java and sound, not only will it lag on slower internet connections, but some visitors simply will not be able to view it, due to incompatible browsers. If your home page is too large because it contains too much information, simply break the information up into several pages. Optimize your images for the fastest loading time. Use small thumbnail images as “gateways” to a larger image. If you have a large detailed graphic such as a map that you want to present to visitors, rather than slowing down the loading of your entire page, you will be better off if you put a smaller (faster) graphic on your page with the option of clicking on it for a more detailed view. That way, you do not alienate those viewers with a slow loading page who do not necessarily need to see the detailed view. For those who want the more detailed view, they will be more patient as you load it as a separate page. Optimize your HTML coding by removing extra spaces, lines, and comments, without sacrificing readability. Removing unnecessary characters can really help your load time. Use the height=”” and width=”” attributes on your images. This will make your content readable and your layout clear, even before the entire page has loaded. Avoid needless animations as they tend to slow everything down. If there is no compelling reason to do it – Don’t! The same applies to audio files. If you don’t need them don’t use them. Audio Wave files are very large while Midi files will oftentimes sound terrible on some systems. If you do decide to use audio then use both the <EMBED> tag and the <BGSOUND> tag to ensure it will work in both Internet Explorer and Netscape Navigator browsers. Another compelling reason to NOT use audio files is the user may be annoyed by the sound and quickly leave your page in order to silence the noise coming from his speakers. Not the result you intended is it? Make your pages easy to read. Avoid “busy” backgrounds. It’s truly frustrating to try and read fine text on a heavily patterned background. Use red, green and blue properly and keep your colors contrasting. Never use dark text on dark backgrounds, and light text on light backgrounds. Which is easier to read: This or This? Design your pages on a 800 x 600 resolution screen for greatest compatibility. Actually, the trend recently is to design around a 1024 x 768 resolution screen. You say, “I don’t know what resolution my screen is?” Find out! Many users have this screen resolution and if you design on a higher resolution screen, your visitors may have to scroll right and left to see the entire page. I’m amazed at the number of web sites that do not give a clue as to who put up the site or how to contact them. I was recently contacted by one web developer who claimed to build exciting e-commerce sites. I was asked to view their site and consider cross linking with them. I went to the site and was dumbfounded that there was no way to contact them … no address, no phone, no email, no links, nothing but a go-nowhere page advertising their “cutting-edge” web design. If you get anything from this discussion, please get at least this … put your company name and contact information on EVERY page. Not everyone viewing your site will come by way of your beautifully designed home page. Many will enter via a sub-page and you’ve got to give them a way to find out who you are and a way to navigate back to your home page. So, how do you increase traffic to your web site? I’ve said it before, but it bears repeating here … You’ve got to give your visitors information that is useful, informative, and entertaining. Add value to the Internet – Don’t just repeat what is already there. Your content should be relevant to your product or service, but it should be “information oriented” not “sales oriented.” The Rule of Thumb is 80% education, information and entertainment, and no more than 20% marketing. Keep your pages interesting. Your ultimate goal is to wind up in the visitors bookmark file and to get them as a repeat visitor. Keep your content fresh. If it never changes, folks will abandon you. Don’t wait for your site to be complete before going on-line and announcing it. Contrary to popular belief, the best Web sites are always under construction. Update weekly if possible and certainly at least monthly. Give your visitors a reason to check back by updating early and often. If you build it by adding a major new item every week, visitors will get in the habit of checking back frequently. Think of it as “evolving” a web site. As your site gets bigger, it will attract more visitors, and the more visitors it attracts should make the site more useful, thereby attracting yet more visitors in an ongoing cycle of content growth and traffic growth. Failure to recognize this cycle will ultimately doom your site to obscurity and low traffic. Another common complaint about the web has been poor maintenance of links. How often have you used a search engine to find what you’re looking for only to be greeted by the dreaded “404 File Not Found” error? Worse yet are links on your page that lead nowhere. If users constantly run into broken links it can spell disaster for your site. Linkrot (dead hyperlinks) are tedious to track and bothersome to update. Okay, now we’re getting down to business. You’ve got a plan! You’ve got a disk-full of HTML and JPG files! Load ’em up on your server and watch the world flock to your door. Wrong! There’s still another step in our strategy for success.